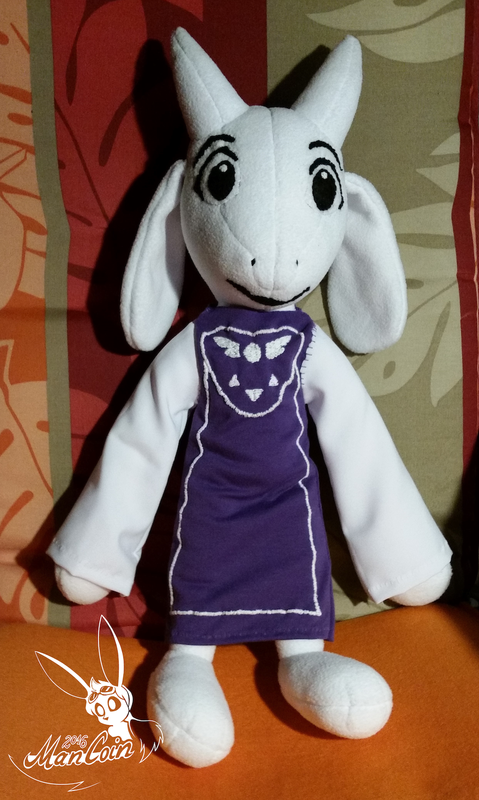 Ah yes, now I can have my own goat-mom. I was meaning to make this plushie for a while and FINALLY it's done. No idea how long it will take, but I do plan on making Asriel as well. Plush stands at ~50cm tall. P.S. I am waiting for materials, but once I do get them, I would be able to make more of them for anyone interested. That's 162 USD...I could get an HMM ZOID model kit for that... well, actually about 163 since 150 euro equals 162.832 dollars. EDIT: No, 193.8 USD according to data from feb 29th. Because i want both so badly I'd sell a nut for the entire collection of Zoid HMM kits and a Toriel plush. I didn't know there was an undertale merch site...i don't shop online because well, no money.